Where variety is our specialty! We carry high quality, 100% cotton fabrics, notions, books, patterns, multi format embroidery designs, and much more. As an authorized Supreme Pfaff sewing machine dealer and service provider, we carry a full line of sewing, embroidery, and serger machines, along with providing expert repair services, and the most thorough machine training available anywhere. 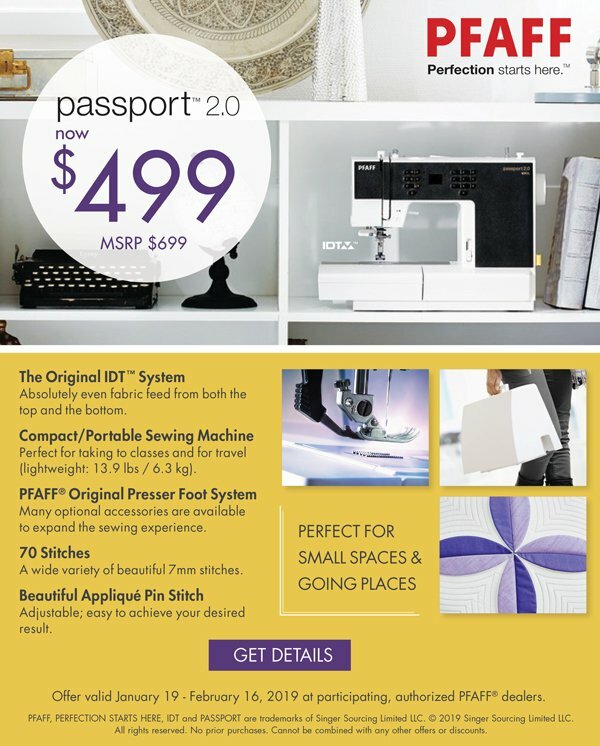 Additionally, all Pfaff machines, parts, and accessories, can only be purchased here in the store. Our friendly, knowledgeable staff members are always happy to assist you, whether we're helping you select a new sewing machine, find great new sewing or quilting projects, or choose coordinating fabrics. No matter your skill level or project size, we'll be here to guide you every stitch of the way!